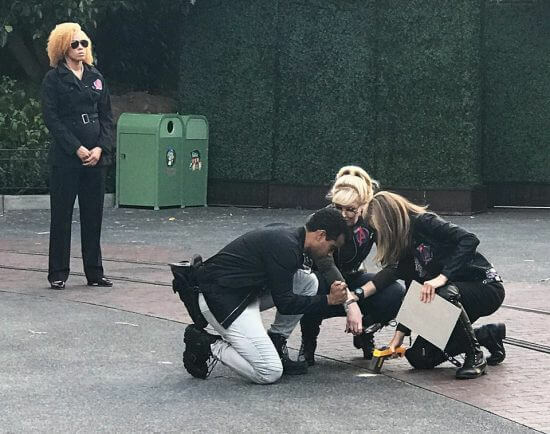 Amid the chaos and excitement of the opening weekend of Disneyland Resort‘s first Marvel-based E-ticket attraction Guardians of the Galaxy – Mission: BREAKOUT at Disney California Adventure, it was easy to miss one of the more subtle but intriguing details. Beginning with the Thursday-night media preview of the Guardians ride last week, a new never-before-seen Easter Egg appeared outside the gates to the right-hand side of the Collector’s Fortress, where S.H.I.E.L.D. operatives worked first in private behind translucent tarps, seen in the B&W image below, sent exclusively to ITM. 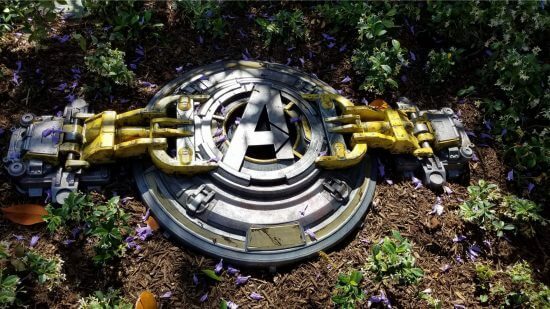 Ultimately the agents revealed a mysterious metal hatch in the ground bearing the distinctive “A” logo of Marvel’s Avengers. 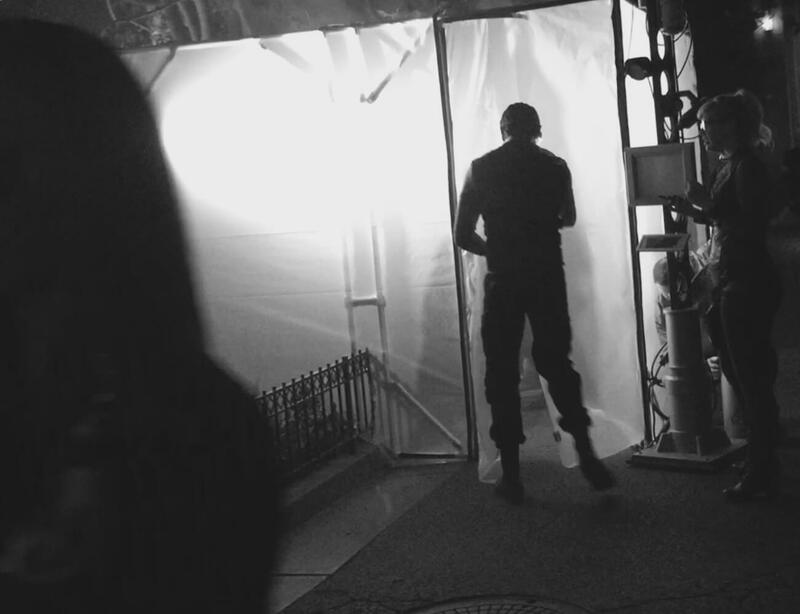 During the following day and evening, they continued to work to “scan” the area. For what? Unknown. S.H.I.E.L.D. Agents taking readings during Friday Night’s Galactic Premiere Party. Photo via Duane Davis on Facebook. Marvel Digital Media’s Vice President & Executive Editor Ryan Penagos tweeted that there’s a connection being formed between all of Disney’s Marvel attractions with a teaser video of the hatch. While the Avengers are already currently represented at DCA in the new Avengers Training Initiative interactive show, is this hatch hinting at further additions and expansions to the park’s Marvel superhero presence? No matter what the future holds for Marvel at Disney California Adventure, we can be sure it will incorporate the same spirit of adventure and attention to detail as the terrific new Guardians of the Galaxy – Mission: BREAKOUT! Image and news via our friends at Slashfilm. Be sure to visit their site for more info and speculation on the Avengers hatch at Disney California Adventure. Looks like S.H.I.E.L.D. is working with the Dharma Initiative on this one. Am I the only who thought about Desmond’s hatch from “Lost” when I saw this? I wonder if the Avengers are taking shifts pressing a button to save the world. LOL. I definitely thought the same thing. See you in another life, Brotha.